It restores the skin’s bounce. Alkekengi calyx extract with its double plumping effectiveness, in the epidermis and dermis, is combined with Padina pavonica extract, which strengthens the skin’s hydric layer, for replumped skin. It promotes complexion radiance and luminosity. Black Rose aqueous extract instantly smoothes the skin texture to improve reflection of light. 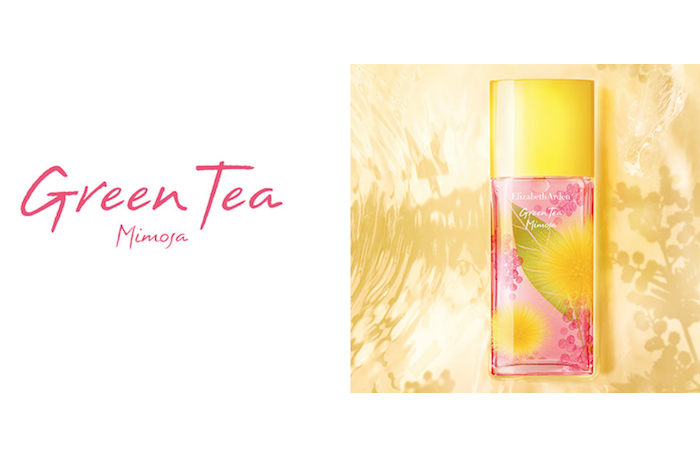 This action is supplemented by Hibiscus flower extract to increase the complexion radiance. Alpine Rose extract, rich in powerful antioxidants, combats the dulling of the complexion. An exceptionally sensorial application: a silky texture that transforms into micro-droplets of water and permeates into the heart of the epidermis. 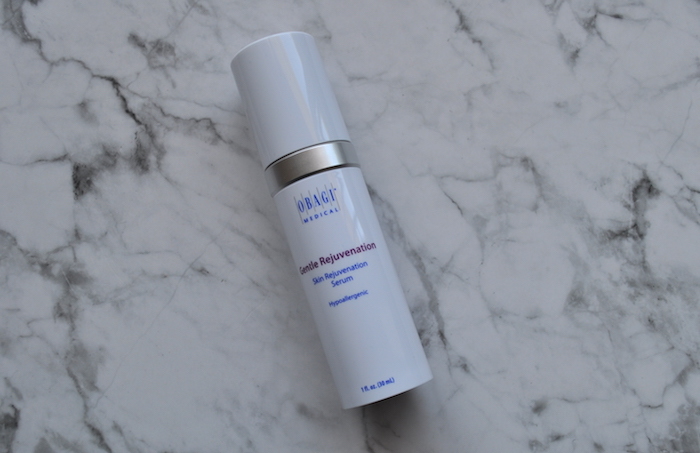 Hydrated, the skin is infused with moisture, as if rejuvenated. The combination of oily Black Rose extract, May Rose water and Shea and Camelina oils leaves the skin soft, brings instant sensation of freshness and long-lasting comfort. The olfactory signature of Black Rose skin care – essential oils of Rose, Magnolia and Geranium – awakens the senses and provides an immediate sensation of wellbeing. What I say: Yes, I realise that a cream with this price tag is only for a very small part of the population, however, it is absolutely exquisite, and for me, if you are going to lust after a product, this is it. Basically, like with anything, you have to understand the quality of ingredients when look at why a product is more expensive or cheaper than others. Why are battery chicken eggs cheaper than free range? Simply because they ARE cheaper to produce. Same goes for ingredients in skincare. 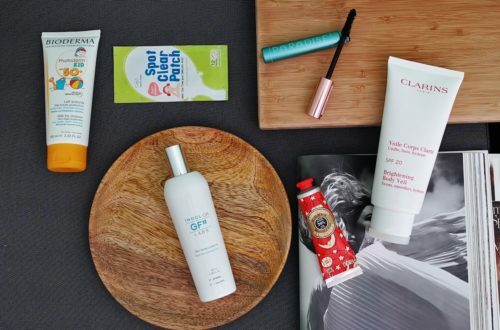 Why are some creams cheaper than others? Because what they put into the formula is cheaper than what other brands do. 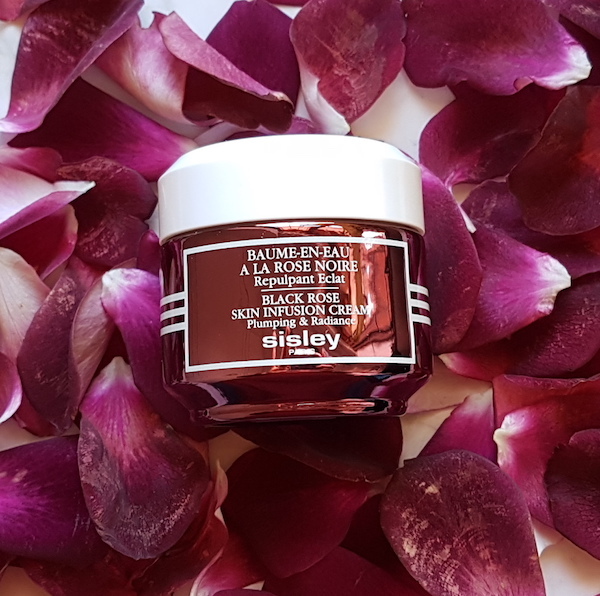 Sisley never, ever does things by halves. 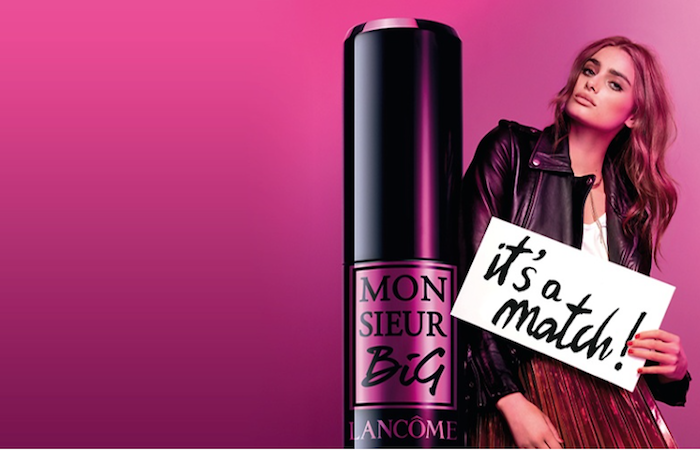 It is always all or nothing with any product the house launches, and this is no exception. 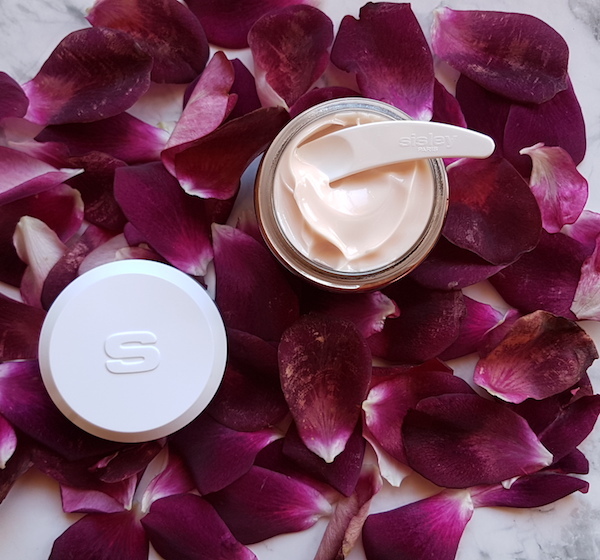 Years after the launch of the now cult-classic (and my ultimate) Black Rose Face Mask and the Black Rose Precious Face Oil, they are finally happy with the formula of this cream to launch it into the market. Infused with all the same incredible ingredients as its stable mates, this cream is simply the best in luxury daily skincare. The blurb I’ve included above explains the chemistry behind the formula, and why it’s such a special launch. I can, however, touch on the pure joy I get out of using the product. 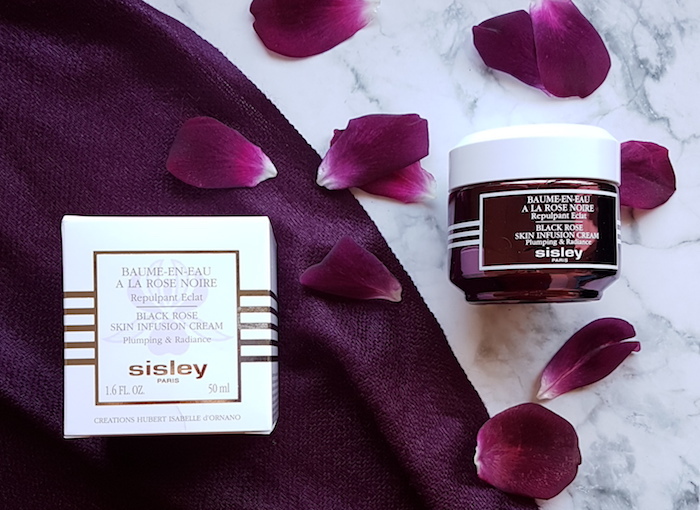 Yes, the packaging is pretty and it smells heavenly, but that’s not why I use skincare, I use it for the results, and my goodness, this cream delivers. It is a fairly thick cream in the jar, but melts into an almost milky texture when applied to the skin, to instantly hydrate and nourish. I’ve been using it every morning for 3 weeks now, and have seen a noticeable improvement in the texture and hydration levels of my skin. My complexion is brighter and my fine lines are less visible. 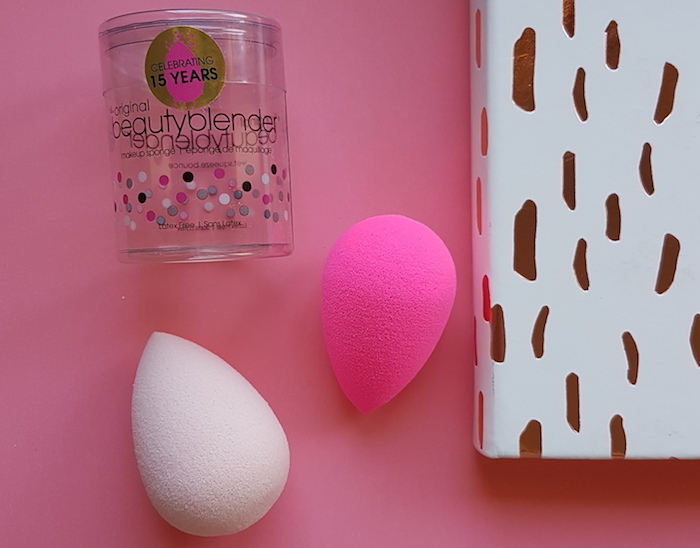 It plays well with other products and is a great base for makeup. I don’t use it at night because I’m testing other products, and if I need a moisture boost overnight, I reach for my Black Rose Cream Mask anyway.